Varadero beach has a unique natural charm and is home to the Allegro Palma Real, a hotel brimming with Cuban music and flavors. 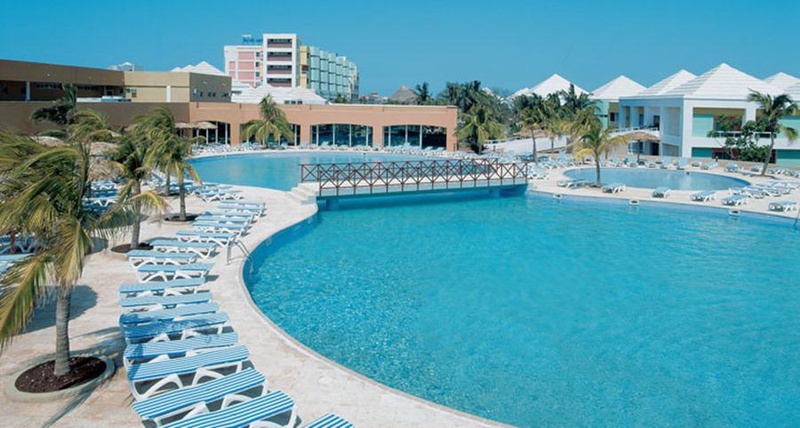 This multi-experience accommodation allows future guests to enjoy a range of cuisines, entertainment and sports, as well as a magnificent location in Playa Azul, Varadero's foremost area, facing the striking coastline of the Caribbean Sea. Guests can dream with their eyes wide open when they discover the direct access to the beach and beach bar, or while away the time until sunset, while savoring colorful cocktails by the pool. A fantastic range of exclusive entertainment along with the possibility of visiting Varadero's main clubs, or the cafes and bars that line the city center just a few minutes from the hotel. The 470 rooms at the Allegro Palma Real offer the most comfortable stay imaginable thanks to meticulous design focused on local culture. This reflects its bright colors and its characteristic luminosity, as well, first and foremost, as its service is based on excellence and on the small details. Varadero's Allegro Palma Real offers you the possibility of enjoying a unique experience in the archipelago's most fascinating surroundings.